I have fallen in love with Gillian Flynn's writing, each book just as good or even better than the first I read. 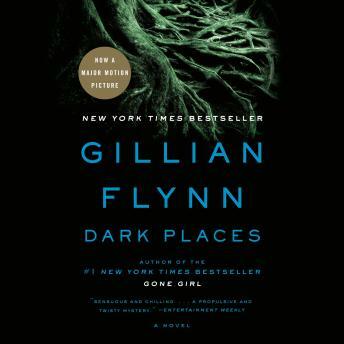 Another great book by Gillian Flynn. You either love her or hate her . This was a great book, however the narrators were hard to hear. Very low tones. Love Gillian Flynn's writing and storytelling. This was my least favorite of her 3 novels but still totally engrossing and well-written. The main narrator (there were 3, all good) had a fabulous voice. Great listen. Very engaging, and thrilling near the end. Great narration. Suggest readers/listeners over age 18 because it is graphic in both violence and sexual topics. The narration on this book is fantastic. It has different voices for different characters but not overwhelmingly so; wonderful job. The book itself was great too. I love Gillian Flynn's style. Such a dark, dramatic story that builds up so nicely. It didn't pull me in as much as Sharp Objects did, but it was great to listen to over the course of a few weeks while driving to/from work. This was an amazing book; I enjoyed every minute of it. Very well written, the narration was great. I love that I could get into each character and their side of the story. I would highly recommend this book. I really love this book. I'm listening to the audiobook for the second time. It's really dark and weird. Way better than the movie, imo. I couldn't get into this book at all. The main character is such a drag. I tried for a bit but eventually got bored and put it down.